Properly planning for the disposition of your property after death can preserve the value of your estate so that more of your assets pass to family members and loved ones. In addition, it can spare family members from much of the burden of having to resolve your estate, and it can enable you to ensure your assets are managed in a manner in which you choose. 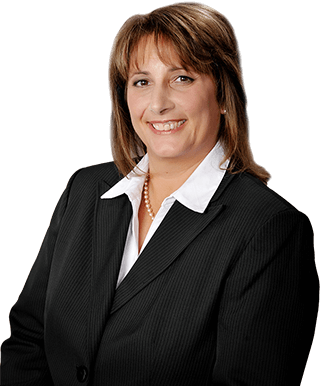 At The Law Office of Dawn R. Underhill, in Joliet, Illinois, we help clients develop estate plans designed to fulfill their desires regarding their property and loved ones. Over time, we work to ensure that these plans reflect current financial and family circumstances. After the passing of a client, we conduct our probate administration services in ways designed to wrap up the estate efficiently, accurately and cost-effectively. Additionally, at The Law Office of Dawn R. Underhill, we provide consultation and guidance to the executor or executrix of an estate through the probate administration process. When drafting your will, we will begin by learning more about your situation and any unique circumstances within your family. For example, are you passing on inheritance to children of a blended family? Do you intend to pass a significant portion of your estate to a nonfamily member? Do any intended beneficiaries have special needs? These questions, among many others, can help us identify what language is necessary in order to minimize future conflicts with your last will and testament. In writing a will or estate plan, we listen closely to the client’s wishes, and then we carefully craft the documents needed to achieve those wishes. Our focus, in all of our estate and probate work, is to protect the client’s interests while creating effective legal instruments that will meet with the court’s approval. Estate planning should not be a concern just for the elderly. Persons at all stages of their adult lives have need for sound counsel from an experienced estate and probate lawyer. In addition to writing a will and providing guidance in estate administration, The Law Office of Dawn R. Underhill can advise you in all estate matters, including living will preparation, special needs trusts and the financial aspects of guardianships. For a free consultation with The Law Office of Dawn R. Underhill, call toll free 877-Law-Dawn (877-529-3296).